We have the unique privilege of living in the beautiful city of Spokane, Washington, located in the Pacific Northwest. It is known for its beautiful scenery with mountains and four seasons, both of which provide plenty of opportunities for recreational activities. One of the many sports activities our city is known for is “Bloomsday.” This is a 7.5 mile race for runners who sometimes come from different parts of the world to participate. There is a cash prize for the winner, but the real prize is the “finisher’s” t-shirt. Thousands of people enter the race, from professional runners to walkers and even those in wheelchairs. Not everyone finishes the race receiving the prize of a Bloomsday t-shirt. Only those who finish the race qualify for these most coveted shirts which are worn with pride. The most daunting part of Bloomsday is called “Doomsday Hill.” Its steep, long incline close to the finish line is what separates those who truly have the heart to finish. Whether runners or walkers, the difficulty of this hill requires a resolve to finish because it requires perseverance. Those who finish do so despite the difficulty of this hill. Those who do not persevere give up and go home—without their t-shirt. This race has reminded us of the book of Hebrews, which uses a metaphor of running a race of faith and persevering when there is persecution and adversity. The focus on Jesus and His superiority has been one of the most exciting aspects of studying the book of Hebrews in preparation for the Women’s Bible Study. Jesus is God and therefore has the same divine attributes as God. Some of the attributes of Jesus Christ in the book of Hebrews include Jesus as the Savior, Preeminent, God Incarnate, supreme Apostle, Rest-giver, great High Priest, Sufficient, our Hope, Perfect, superior Minister, Redeemer, Sanctifier, Faithful, Messiah, Founder and Perfecter, and Mediator! “Jesus Christ is the same yesterday and today and forever” (Hebrews 13:8). Jesus is immutable, meaning “not capable of change or susceptible to change.” “For I the Lord do not change” (Malachi 3:6). As part of the triune Godhead, Jesus is unchangeable, infinite, and ever supreme. What a comfort and joy it is to remember that none of these characteristics of Jesus ever changes. In the last few verses of the book of Hebrews, the writer uses a metaphor of Jesus as the “great Shepherd of the sheep” and exhorts believers to bring glory to our resurrected Lord Jesus. How do we do this? By living our lives for Him and through His power. As we do so, we are to be dependent on Him who lovingly cares for His people just as a shepherd cares for his sheep. Probably the most debated and controversial aspect of the book of Hebrews is what are called the “warning passages” which warn of the dire consequences of turning from faith in Jesus Christ to any other means of salvation. Because the theme of the book of Hebrews is “The Supremacy of Jesus” over any other system of religion, the author warned against the temptation to escape persecution by looking for relief in anything other than Christ. The focus of the book of Hebrews is on Jesus—the author of creation and salvation, the perfect sacrifice for sin, the great high priest, God the Son, worthy of all glory, honor, and praise. Therefore, no matter what persecution or suffering you are enduring in life—persevere! Keep your eyes fixed on Jesus who is the author and perfecter of your faith (Hebrews 12:2). Run the race set before you (Hebrews 12:1). This was the message given to that Jewish congregation. They were to persevere and not turn to the safety of old covenant Law and sacrifices because to do so would be to reject Jesus. This context must be kept in view when studying the whole book of Hebrews and especially the warning passages. Every believer is in the “race.” We are told in James 1:2-3 to “Count it all joy, my brothers, when you meet trials of various kinds, for you know that the testing of your faith produces steadfastness.” All believers will encounter trials and testing of their faith. From the study of Hebrews, we know that those who fix their eyes on Jesus by faith will persevere. Only those who endure the pain and suffering of Doomsday Hill in the Bloomsday race can finish the race. Many have been pulled over the finish line by a faithful friend who stuck with them to make sure they finished. Jesus is that faithful “friend” in the “race” of life for every believer. He hangs on to us when we have “hit the wall” and, through His Word, encourages us to endure the persecution and suffering in order to finish the race He has set before us. 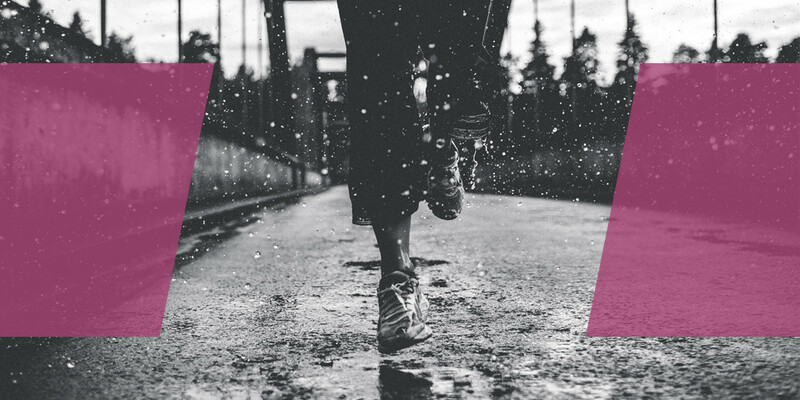 Join the women’s Hebrews Bible study and learn more about How to Run the Race with your eyes fixed on Jesus, the supreme and worthy One, who is holding His own secure to the end of their lives. Vickie leads our Women's Ministries here at Faith Bible Church and loves to help young moms grow in Christ!